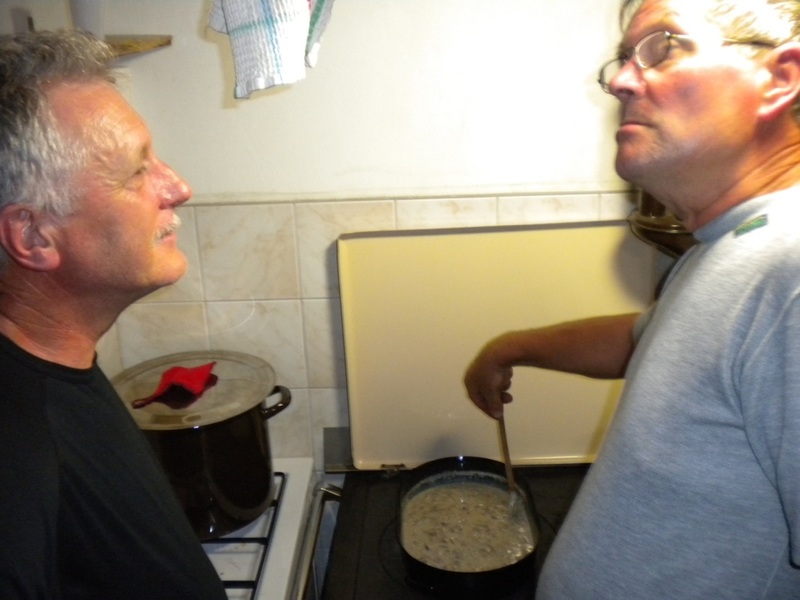 The greatest achievement of Radio Club Sneznik Ilirska Bistrica, are its own premises inside mountain lodge on the top of the 1796 m high Mount Sneznik. 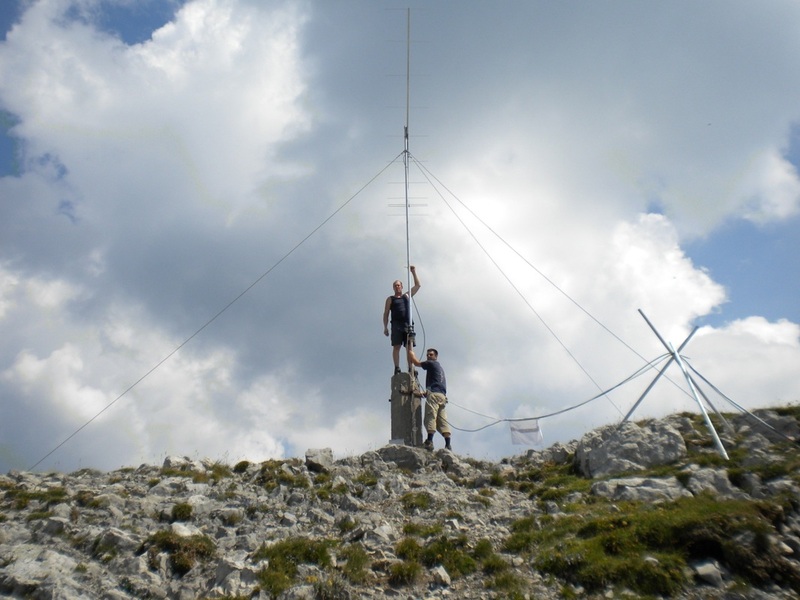 Acquisition of premises there meant a turning point for the society, as the club already in the Yugoslavian times became known for its superior results in ham radio contests on 2m and higher amateur radio frequency bands using call sign YU3DGO. 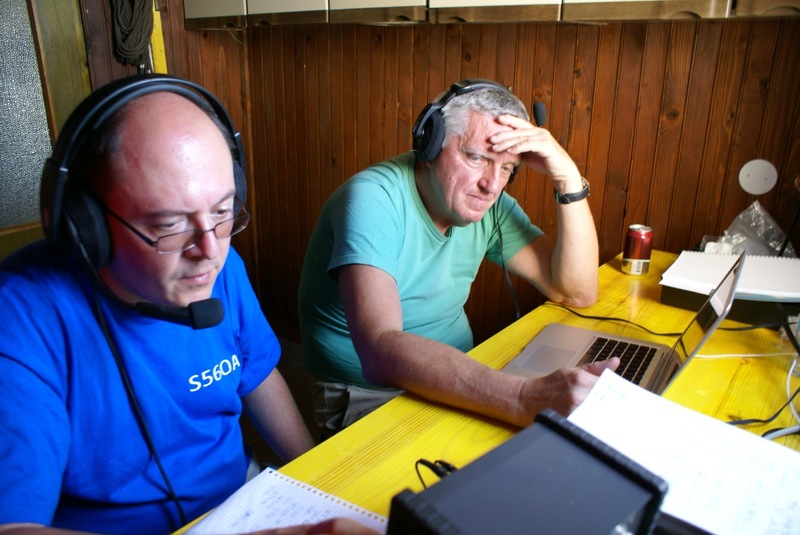 After Slovenia gained independence, activity resumed under call signs S59DGO and S53DOS. 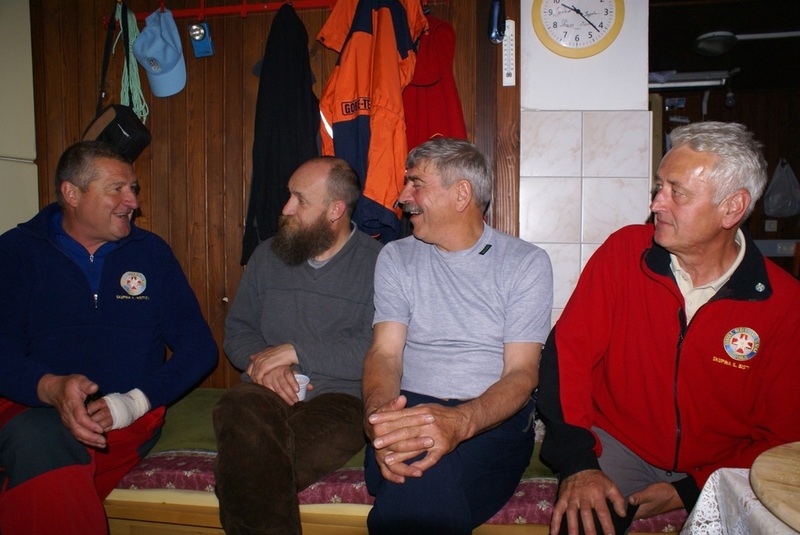 Radio Club has inside the mountain lodge on Mount Sneznik its own premises with its own entrance and separate external soundproof generator station. Anteroom immediately after the entrance is used for tool and tools storage, while the kitchen is fully equipped with gas and wood burning stoves, full kitchen sink and dining table. Separate reception / transmitter room beside the kitchen is being used for amateur radio activity, while the attic above the anteroom, kitchen and transmitter room is used as an antenna storage and overnight accommodation of up to six people in to addition of four which can stay in the kitchen area. Solar power is the primary source of electrical energy. 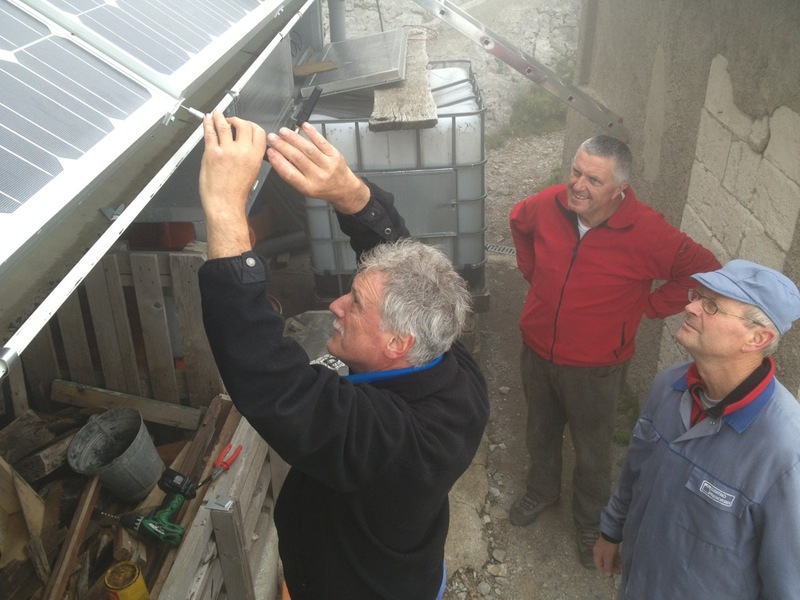 Voltage inverter is being used to convert 12 V DC electrical power from solar panels and batteries to 230 V AC. 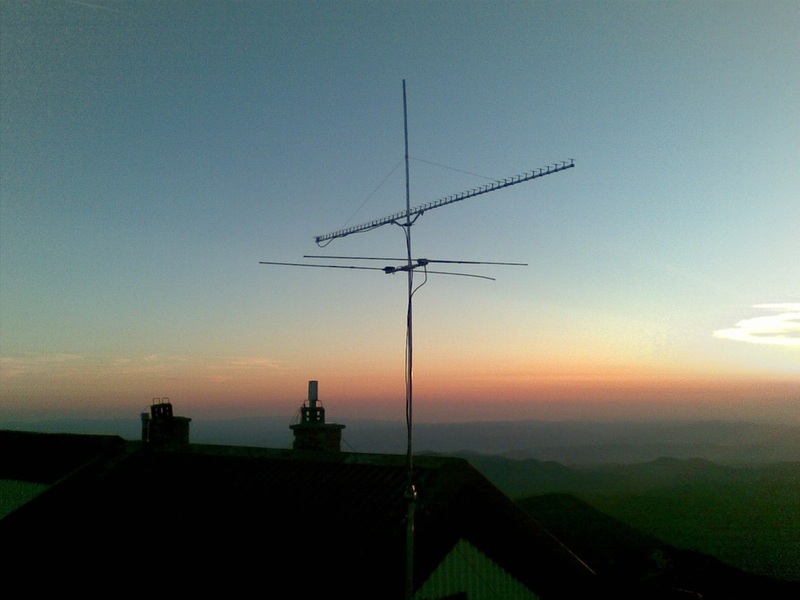 We worked several contests using exclusively using solar power, including several Alpe Adria VHF Contests and July VHF UHF SHF contest, the latter one using a single radio transceiver with no additional amplifiers. 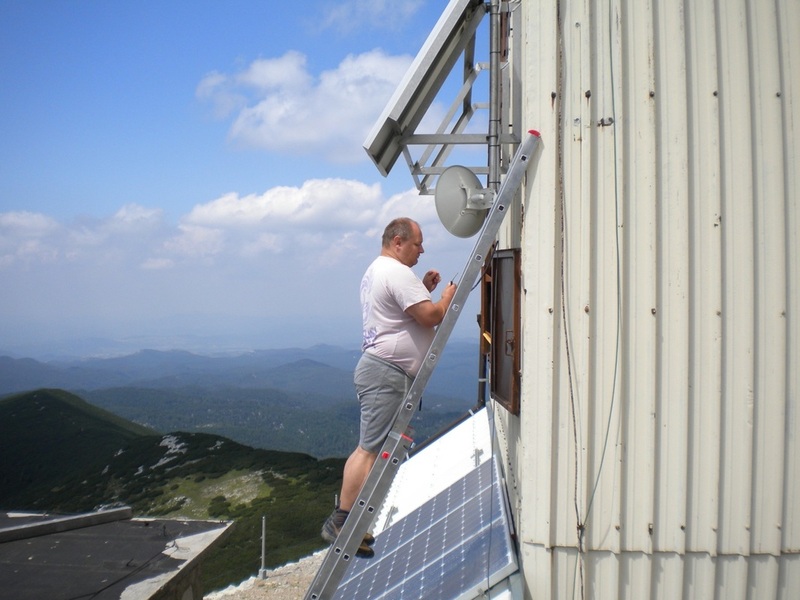 This proves that even contesting can be made greener using solar power from the top of Mount Sneznik. In addition to solar power high power diesel generator is installed inside generator station. 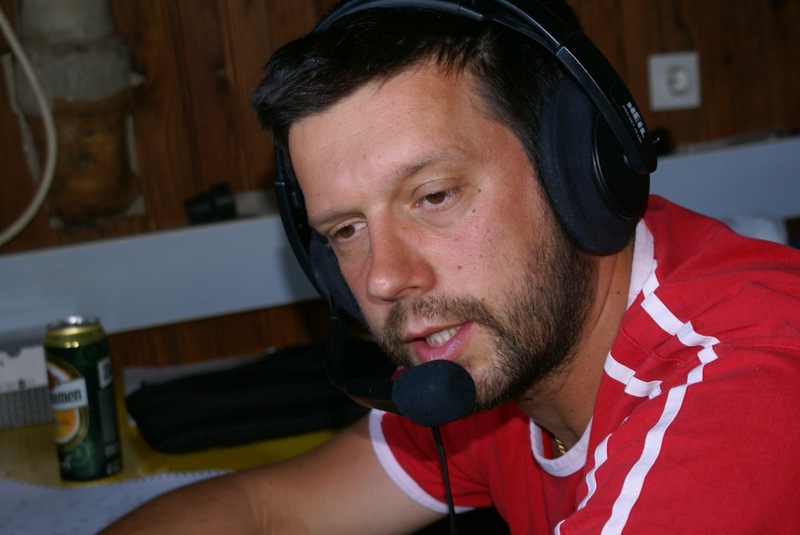 It was mostly used during last years of 1990's, when contest team under supervision of Pavle Reberc - S57RA was active in contests on multiple bands simultaneously in high power categories using multiple antenna systems in parallel. 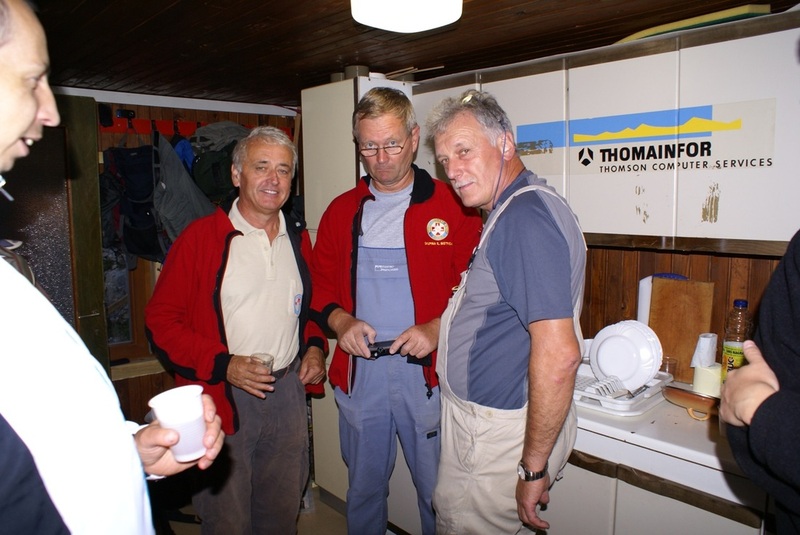 During last few years diesel generator is mostly used to drive construction and other heavier machinery used for maintenance work in both amateur radio and other sections of the mountain lodge. 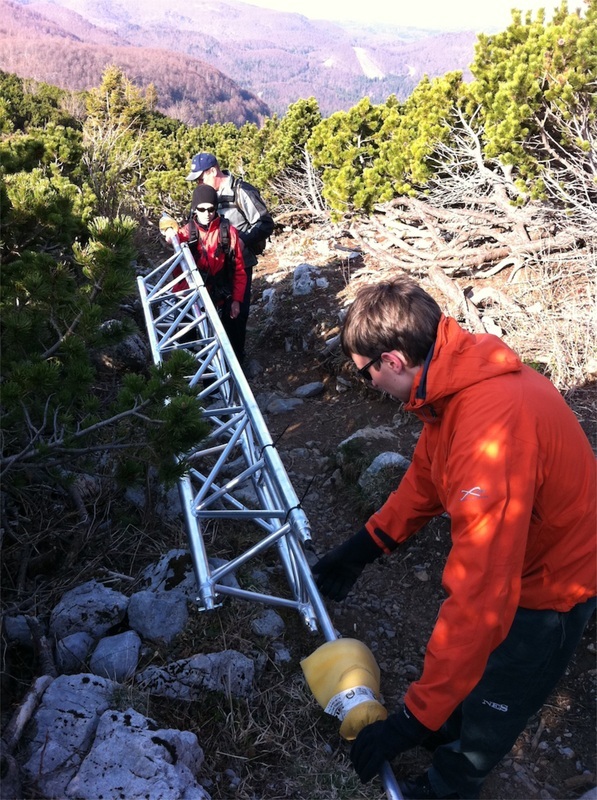 During the year 2011, we also purchased and installed detachable multi-section aluminum antenna tower which allows for quick and easy installation of the tower and antenna system by small team of three people without compromising on safety and reliability. 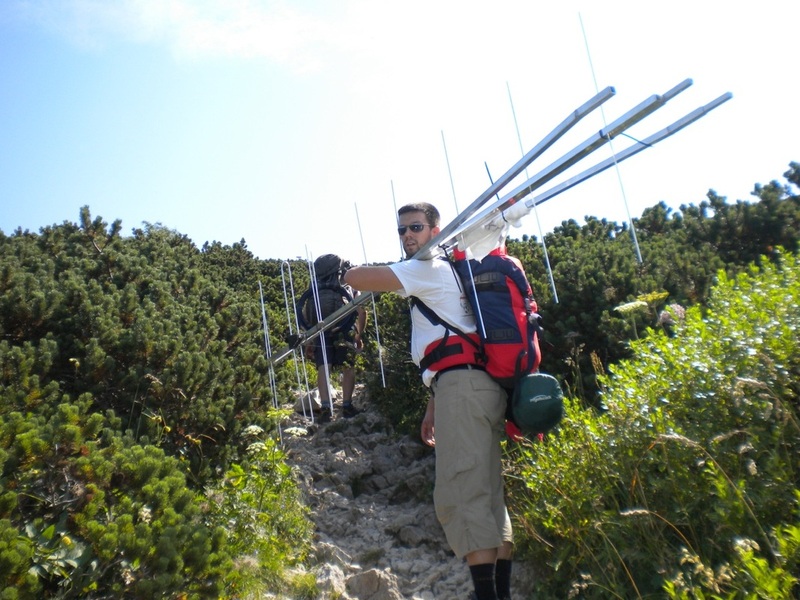 During the summer of 2012, the Radio Club, with the help of colleagues from the Radio Club Jadran from the city of Koper, especially Agar Gorecan - S56RGA, managed to install a public WLAN hot spot, which is accessible not only to radio amateurs but also to the other visitors on Mount Sneznik. 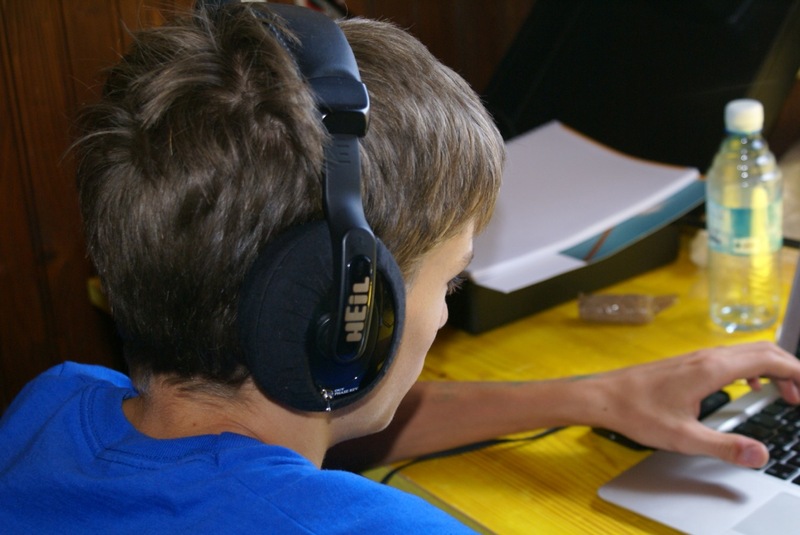 The biggest problem during recent years that plagues Radio Club Sneznik Ilirska Bistrica and many other Slovene amateur radio clubs, is the lack of people willing to invest its own time and energy into amateur radio contesting. 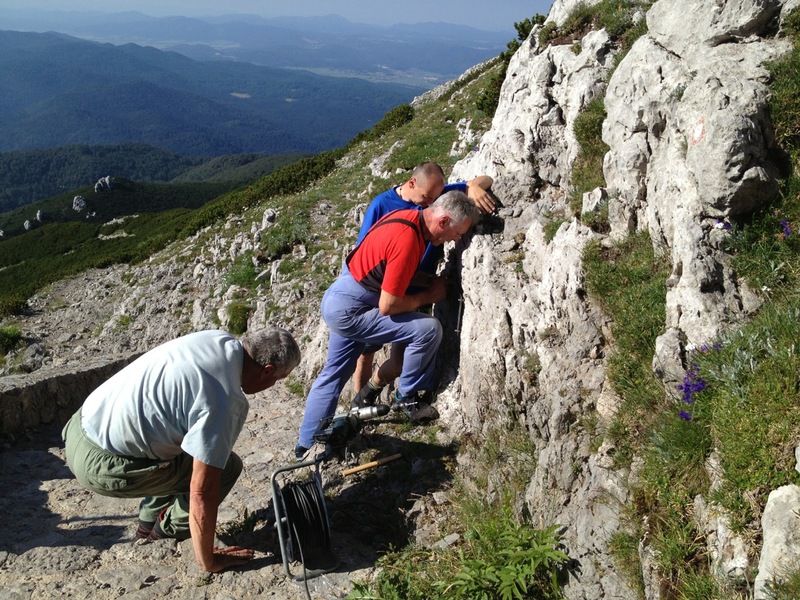 During the best times, Radio Club's contest team used to be active from Mount Sneznik during almost whole year with the exception of winters. Teams at that time were quite large and were covering multiple bands using complex equipment and multiple antenna systems. 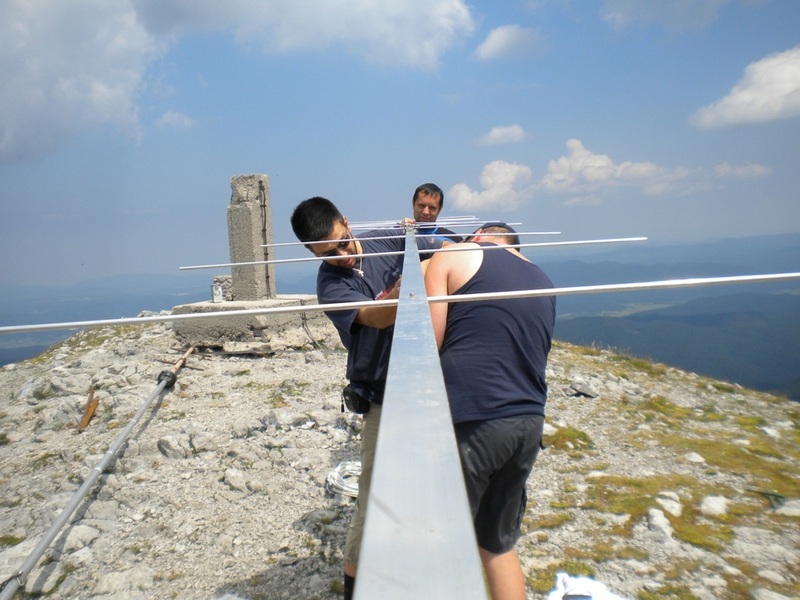 During last few years this is not longer the case, so we are now focusing on contests during summer months, usually covering only single band using simpler equipment and only one antenna system, requiring less extensive preparation and smaller teams of operators. 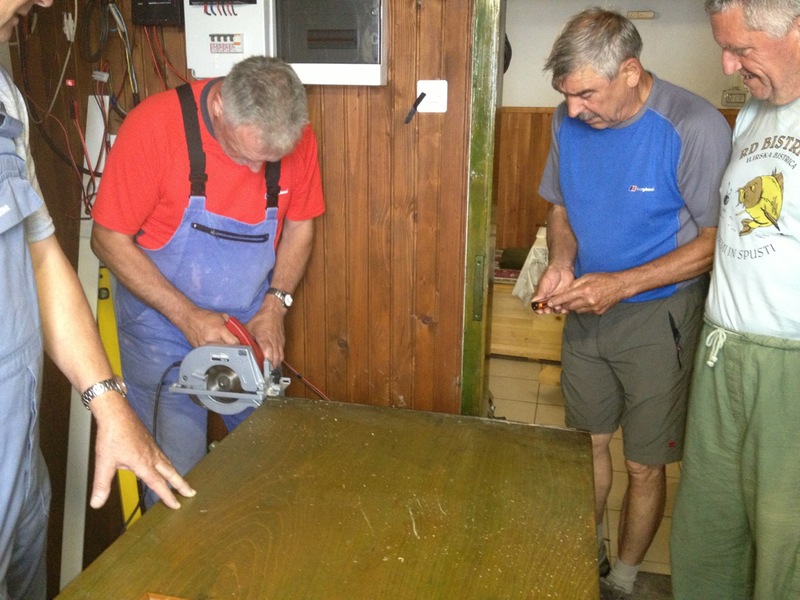 Despite the before mentioned problems, Radio Club Sneznik Ilirska Bistrica still manages to achive top results. 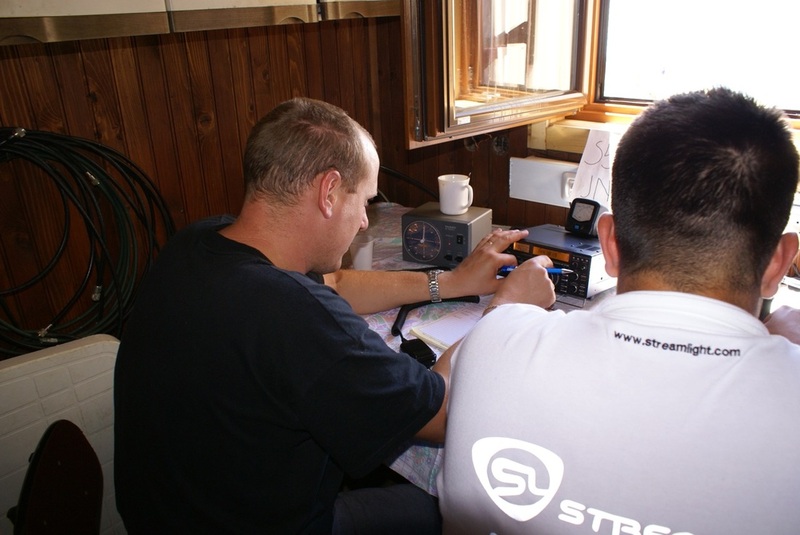 The last one was 2nd place in full international rankings of D category in Alpe Adria VHF contest 2013.